Our package includes a unique combination of a 3D printer, user-friendly software, 3D printing filament and personalized support. Facilitate communication with the patients and a better understanding of their oral needs: the usual CT scan image is two-dimensional and its role is limited when it comes to clarify the patients’ needs. With a three-dimensional model communication becomes easier and patients can grasp fully their oral situation. Better planning of the treatment for their patients: the dentist can use our simple model to plan and prepare a surgery as it makes it easier to visualize important anatomical structures such as arteries and nerves that might be missed when using a simple CT scan. An FDM printer designed to fit perfectly in a dental studio. It can print at speeds up to 200 millimeters per second, which allows the dentist to have an intra-oral model in less than one hour. Provided through a cloud platform, our software facilitates and automates the transformation of CT scans, CBCT scans or any STL file into a file ready to be 3D printed. This makes it easy to use for any dentist. Our filaments are designed to provide best quality printing for our users. We use PLA which is odorless, non-toxic and eco-friendly made out of biodegradable plastic. The filaments are available in several colors. We provide personalized training for the installation of the Oral3D printer and software. Advice from our specialists on how to make the most of the Oral3D offer is also included in the package. 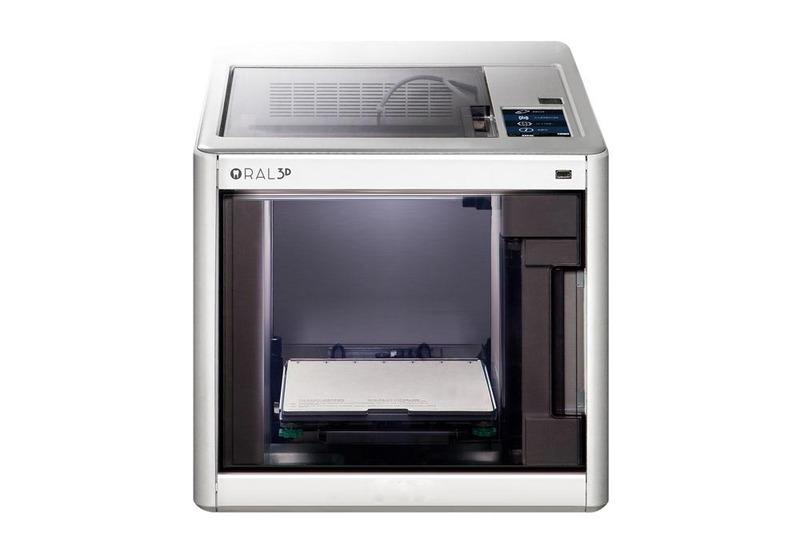 The Oral3D printer is an FDM printer designed to fit perfectly in a dental studio. It can print at speeds up to 200 millimeters per second, which allows the dentist to have an intra-oral 3D printed model in less than one hour. The printer has low noise level around 50 dB while printing which make it ideally suited for a dental studio. 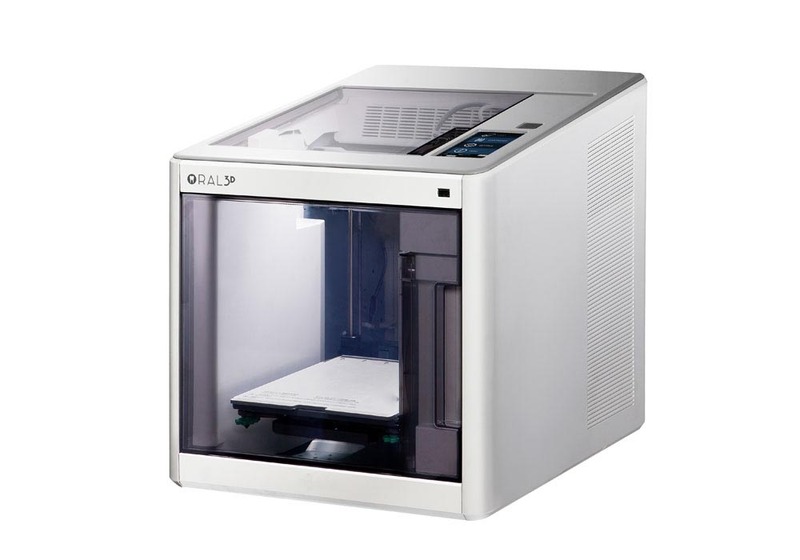 The 3D printer is also relatively small and weighs only around 12 kg. The Oral3D software, provided through a cloud platform, facilitates and automates the transformation of CT scans, CBCT scans or any STL file into a file ready to be 3D printed. This makes it easy to use for any dentist. Oral3D filament is designed to provide best quality printing for our users. We use PLA which is is odorless, non-toxic and eco-friendly made out of biodegradable plastic. The filaments are available in several colors. Our Standard and Premium packages include personalize support and training so that the dentist can feel at ease in any step of the process. We provide personalized training for the installation of the Oral3D printer and software. Advice from our specialists on how to make the most of the Oral3D offer is also included in. If are already acquainted with 3D printing technology and 3D modelling software, you can buy our Basic package which does not include any personalized support (available from 2019). In all cases, the dentist will receive access to a personalised webpage with video tutorials and lectures. 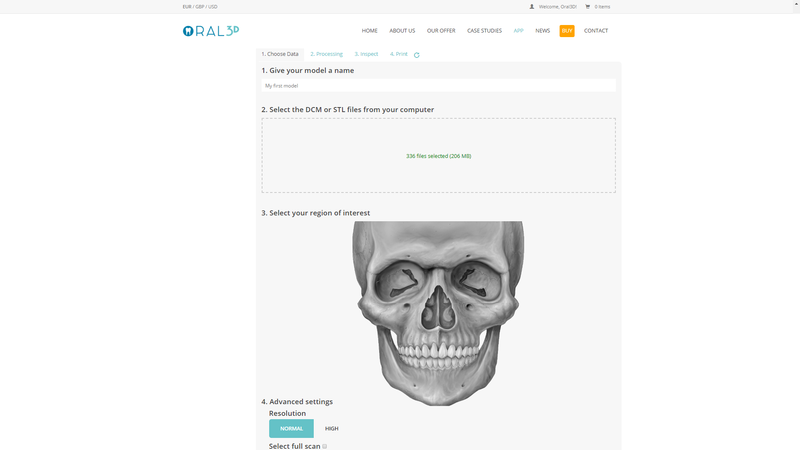 Want to bring Oral3D in your dental school? Contact us here.